Sui Dhaaga Overseas Box Office Collections: Running Fairly Well! Anushka Sharma and Varun Dhawan play innocent yet ambitious village folks Mauji and Mamta living in heartland India. They dream to make a name for themselves and fight against all odds in the much awaited entertainer Sui Dhaaga – Made in India. While Anushka plays an embroiderer, Varun plays the role of a tailor. Their fresh chemistry in the film has been hailed widely and we can see the results on screen. They show audiences Mauji and Mamta’s heart-warming journey of becoming business partners from just being life partners. The movie at the Indian box office till now has earned 71.70 crores. It’s also running fairy at the overseas box office, thanks to YRF’s distribution policy. Hrithik Roshan Takes A Stand Against Vikas Bahl & Here’s What He Urges! Super 30: Post #MeToo Allegations From Kangana Ranaut & 2 Women, Vikas Bahl To Not Be Credited For The Film? Sui Dhaaga till now has earned USD $ 3 million (Approx 22 crores) after completing its 2nd weekend. A film about finding love and respect through self-reliance, Sui Dhaaga – Made in India is a heart-warming story that celebrates the spirit of self-reliance. The National Award-winning dream-team of director Sharat Katariya and producer Maneesh Sharma have come together again for this Yash Raj Films’ entertainer that released on September 28 this year. The post Sui Dhaaga Overseas Box Office Collections: Running Fairly Well! appeared first on Koimoi. Box Office Collections: Sui Dhaaga Is A Hit, Pataakha Flops! Raazi Box Office Collections Day 1: Defies All Predictions, Opens Very Well! Box Office Collections: Raazi Enters The 50 Crore Club In 6 Days, 102 Not Out Holds Well! 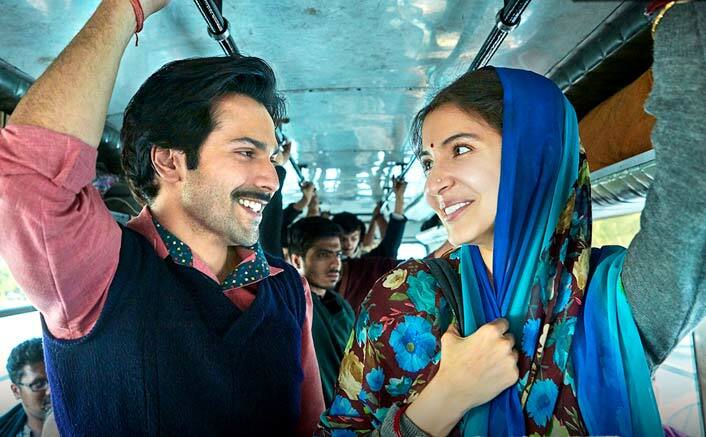 Sui Dhaaga Box Office: 8.30 Crores VS Day 1 Of Varun Dhawan’s Last 5 Films! Thugs Of Hindostan Box Office Collections (Overseas): It’s All Set To Fade Into Oblivion! Manikarnika Overseas Box Office Collections: Queen Amasses Love From All Corners Of The World!